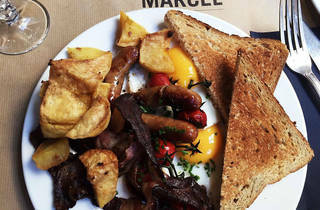 Join the queue for this stylish cornerstone of Paris's brunch scene. 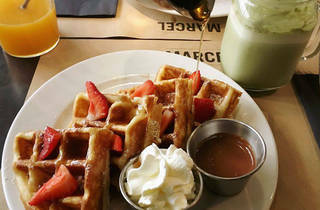 Parisians love ‘le brunch’. 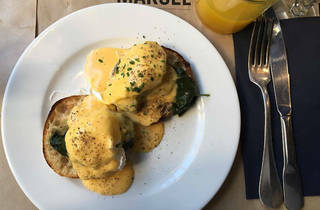 Wander around the city streets on a Sunday morning and witness the queues pouring out of the capital’s many brunch spots, stomachs grumbling impatiently at the prospect of a perfectly runny eggs benedict or a glorious pile of golden-brown, syrup-covered pancakes. 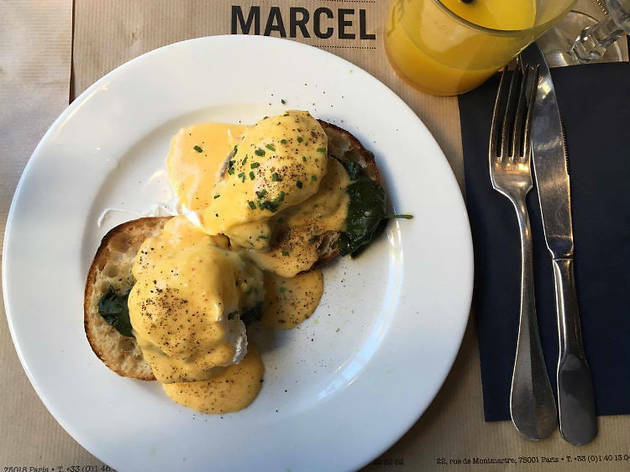 Marcel, now with three branches across the city, is a prime example of the Paris brunch phenomenon - with its eager devotees prepared to queue right into the afternoon for a piece of the eggy action. A chic, industrial setting with low-hanging exposed light bulbs and steel-grey walls – the decor is cool, if a little unfriendly, a massive contrast with the warm, friendly service and even more so with their wonderfully inviting, Instagram-ready menu. 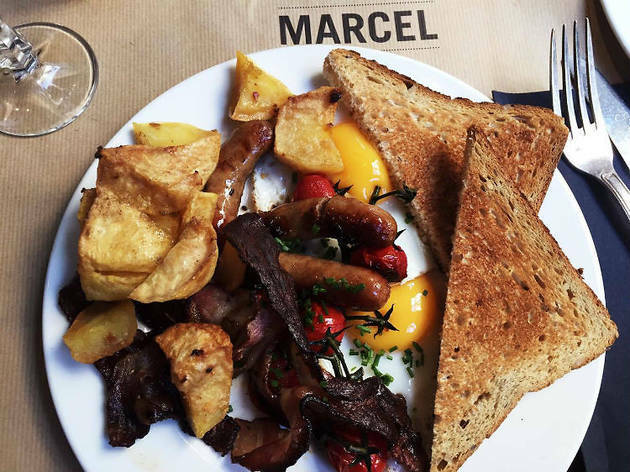 Their stylish English breakfast (€14) is a slice of brunch heaven, featuring perfectly fried eggs (rare in Paris), beautifully crispy bacon, high-quality sausages, a surprising addition of roast potatoes and plump roasted tomatoes. 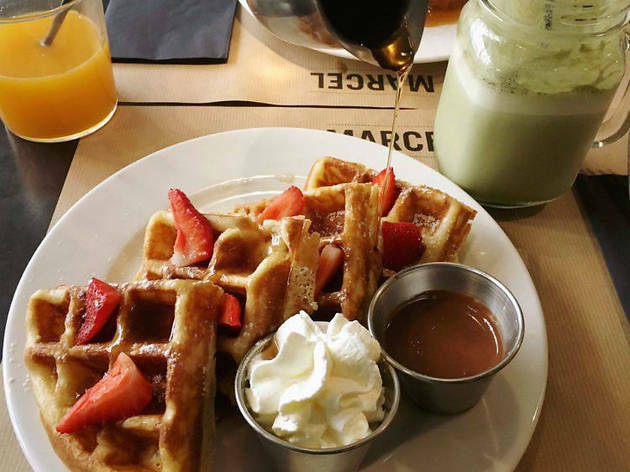 And come dessert-time – yes, we still had room – we fell in love with their waffles, perfectly accompanied by ripe strawberries, a little jug of syrup and cute dipping pots of cream and chocolate spread. So grit your teeth and bear the queues – it’s worth the wait.